TRICKS TO INHERIT is the first translation of Fermín de Reygadas’ ASTUCIAS POR HEREDAR UN SOBRINO A UN TIO, cited as the “first drama staged in California” by Hispanic theatre historian Nicolás Kanellos. Written in Mexico City, the satirical comedy about a miserly uncle, his love-struck nephew, and their wily servants, was banned in 1790 by the Viceregal censor for its social critique and strong language. 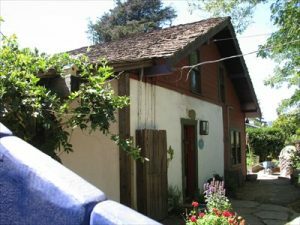 The script was somehow spirited north to the Villa de Branciforte, a community of retired Spanish soldiers, Los Voluntarios de Cataluñia, and their families who had settled in the area now known as East Santa Cruz. The first and only known performance of the play is said to have taken place there sometime between 1796 and 1802. The handwritten manuscript made its way from the hands of Francisco Rodriguez, a rancher, to General Mariano Vallejo, to historian Herbert H. Bancroft in 1875. 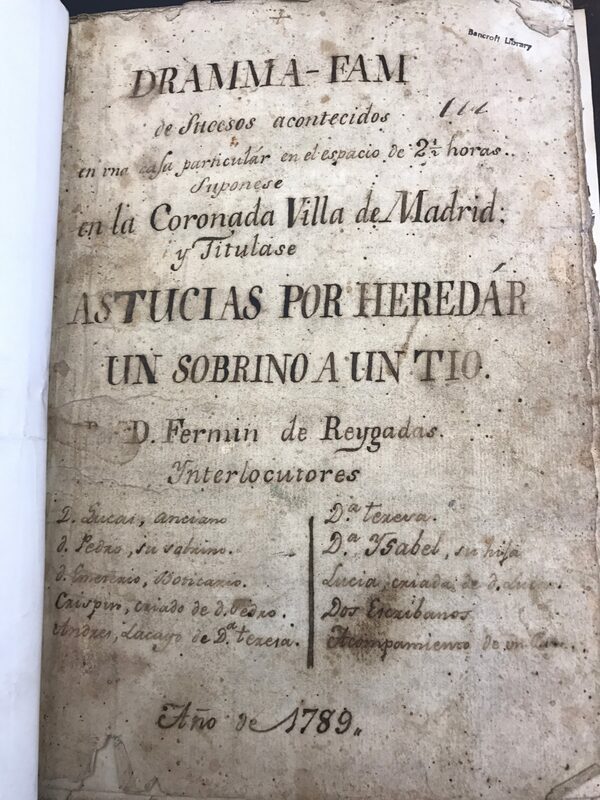 It was subsequently stored in the Bancroft Collection at UC Berkeley, where it remained undisturbed until rediscovered, historicized and transcribed by Dr. Pedro García-Caro (UO, Romance Languages & Director of Latin American Studies). 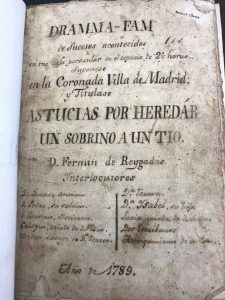 Dr. García-Caro’s annotated text was recently published by Arte Público Press. Set in Madrid, TRICKS TO INHERIT can be described as a Spanish Enlightenment comedy. Its characters owe their formation to commedia dell’arte but the play is more sophisticated, particularly as it presents strong-willed women who are intellectual equals to the men at all levels of society. 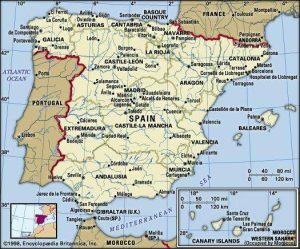 The play is set in Madrid, the nation’s capital located in the center of Spain. 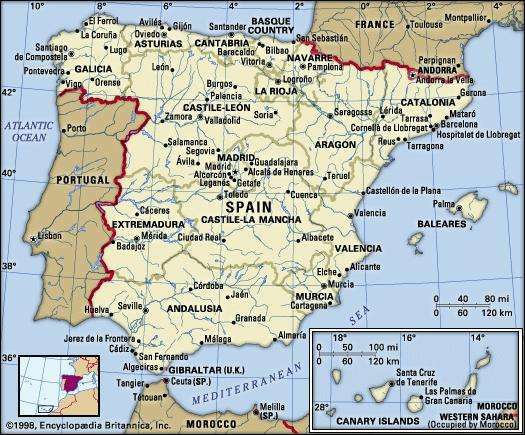 Two other dominant locations are Galicia and Asturias, to the furthest north and west of the Iberian peninsula.